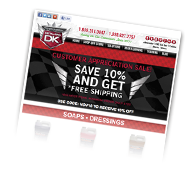 Up-selling is the practice of encouraging your customers to purchase a comparable higher-end auto detailing service than the one in question, while Cross-Selling invites customers to buy related or complementary services. Though often used interchangeably, both offer great revenue benefits and can be effective when used together. Upselling and cross-selling are mutually beneficial when done correctly, providing maximum value to your customer and increasing revenue without the recurring cost of many marketing and advertising venues. Cross-Selling identifies other car detailing services that satisfy additional, complementary needs that are unfulfilled by the original service. For example, a paint chip repair service could be cross-sold to a customer purchasing a buff and wax paint correction service. Oftentimes, cross-selling points customers to services they need but may not of purchased without you offering it to them and packaging it up with their initial detailing service. By showing them at the right time, this will help ensure you make the sale. Provide them a discount for the paint chip repair because they are having it done with the initial detailing service. Other Cross-Selling services that you may want to offer in addition to the initial buff and wax could be headlight restoration, plastic trim restoration, windshield repair, wheel repair or whatever else the vehicle’s exterior needs that you know how to provide. Package up the services and show the customer the money savings with the “value package” price you will provide them. Cross-Selling can alert customers to services and products they didn’t previously know you offered, further earning their confidence as the best auto detailer in town! 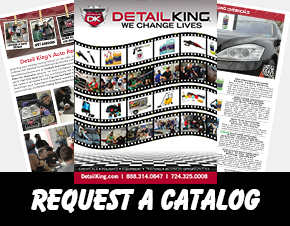 Up-Selling often employs the ability to sell other auto detailing services or products to customers that are not related to the initial services. For example; the customer originally requested the buff and wax service over the phone and you cross sold the paint chip repair service and maybe even headlight restoration the day of the appointment. Don’t stop there, while the customer is still present open up the driver’s door, inspect the interior and Up Sell your complete interior cleaning and detailing service. Again, show the customer a package discount because they are purchasing all of the exterior services you just sold them. Now once you have them “sold” on your complete interior cleaning and detailing service you can actually Cross Sell complementary interior services like cigarette burn repair, vinyl or leather repair, carpet dying or odor removal using an Ozone generator machine. If the vehicle needs none of these additional interior services then you have already turned a typical $100 buff and wax into a $300+ complete detail with those other very profitable ancillary exterior services. Cross-Selling and Up-Selling are similar in that they both focus on providing additional value to customers, instead of limiting them to already-encountered services. In both cases, the business objective is to increase invoice total and best value to your customers and inform them about additional service options they may not already know about. The key to success in both is to truly understand what your customers needs are and then respond with services and products with corresponding features that truly meet those needs.